*This review will contain spoilers for both Clockwork Angel & Clockwork Prince*I was terrified to go into Clockwork Princess. As much as I tried not to read reviews of it beforehand, I couldn’t help it, which in turn made me even more nervous to read it. I absolutely adored Clockwork Angel and Clockwork Prince and I was so scared that the final book wouldn’t give this series the ending it deserved. When Racquel said she was reading it, Cass & I joined in and it turned into an impromptu read along!The characters were still everything and more to me. The Infernal Devices will long go down for having some of favorite characters as a whole, I do believe. I feel like you can connect so well with the characters in this series and it leaves you raw and emotional. Tessa is amazing, I adore her in every aspect. Will… well jeez, do I have to really go into that? I love this guy, LOVE. I also realized that I loved Jem far more than I ever thought while reading Clockwork Princess. Charlotte, Sophie, Gideon, Gabriel… MAGNUS BANE! Honestly, I could go on and on about how much I love them all so we will just leave it at that and say that the development of the characters definitely did not stop in this final installment.The story was phenomenal and heart wrenching. I could not put it down, once I got about 150 pages in that was It, I was invested and I was not stopping until finishing. There were several parts that tore my soul apart, I sobbed so hard at times that I thought my heart would stop beating. I’m not even sure that I can give it any justice in words because the emotions that I felt when I read this were unbelievable.I cannot wait to continue the Mortal Instruments now, because it makes so much more sense to me now that I know the family lines and their ancestors.I know the ending holds a lot of mixed feelings with people, but honestly I really liked it. It made me cry and my heart hurt but I still really enjoyed it. I obviously can’t go into it very much without ruining the grand finale but it was a great finish for me. 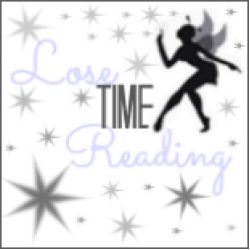 Clockwork Princess is one of the first books in a very long time that has given me a complete and total book hangover. I feel like nothing as of late has given me the types of feels that it did.If you are hesitant in reading Clockwork Princess because it’s the final book I would suggest taken the plunge and doing it. 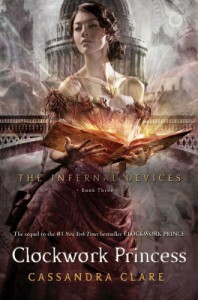 I found it to be very satisfying as an ending and secured The Infernal Devices as one of my all-time favorite series.